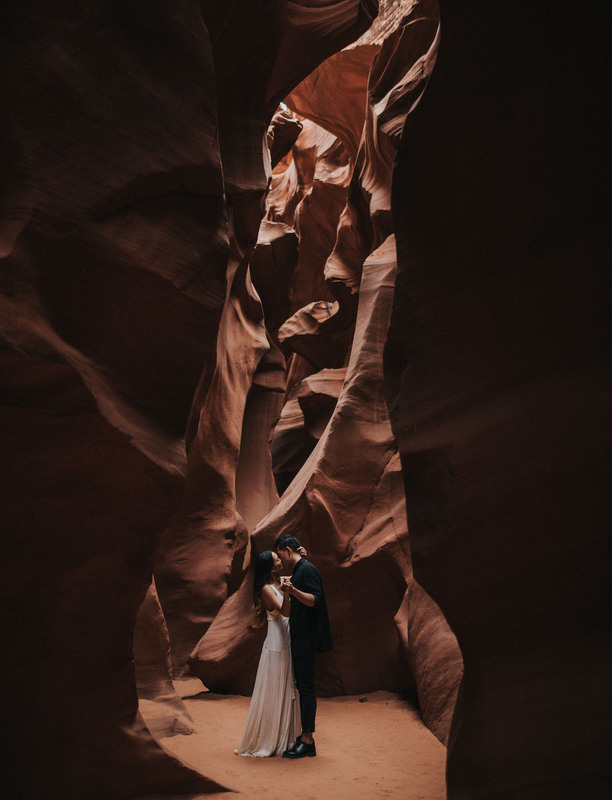 Get ready, because you’re about to feel ALL the moody, romantic vibes from today’s sweet couple. 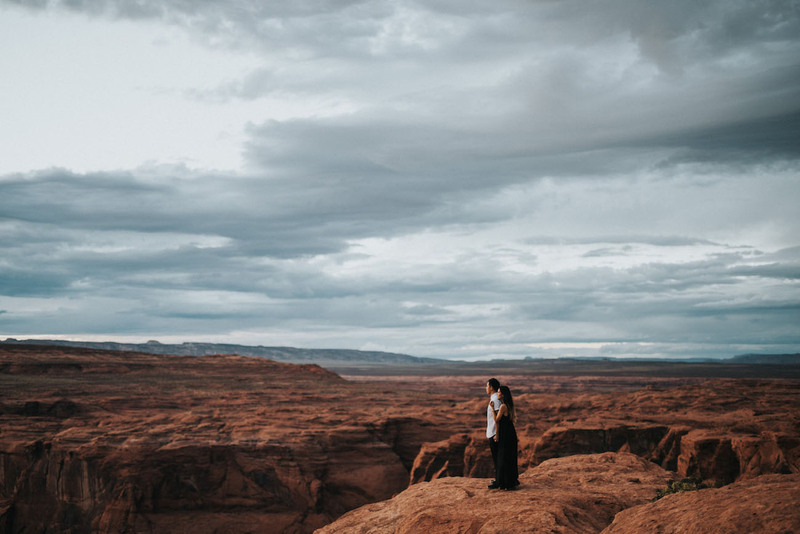 Can you imagine traveling from Holland to the US for the first time, where you go on to meet the love of your life between the magical landscapes of Page, Arizona? 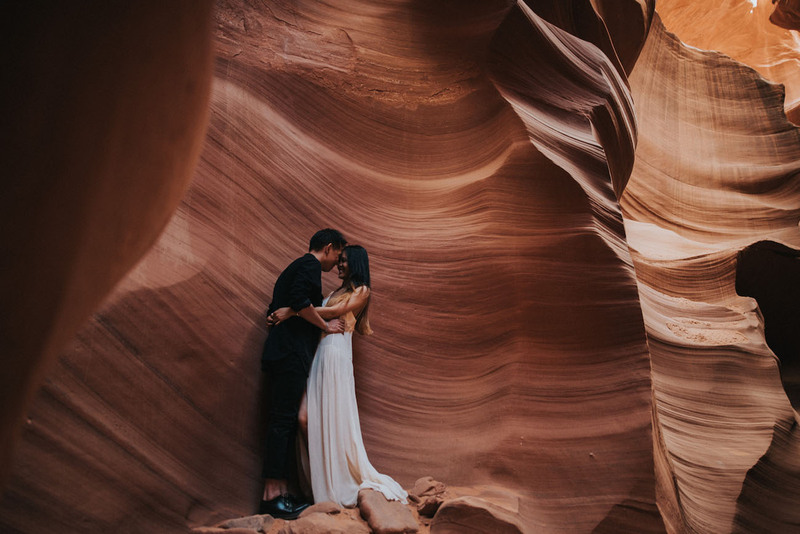 It sounds like a movie, but that’s exactly how it happened for Toby + Kayan. 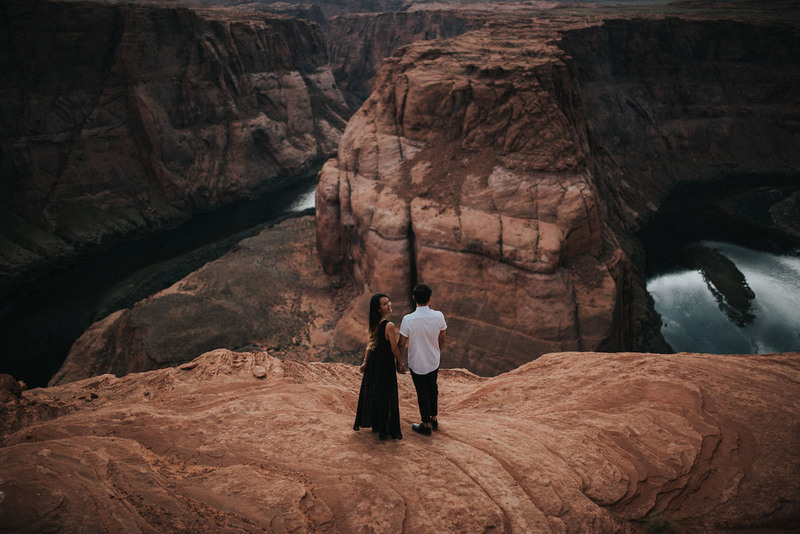 Twelve years later, the couple returned to Arizona and enlisted the help of Jonnie + Garrett for a whimsical engagement session that feels out of this world. 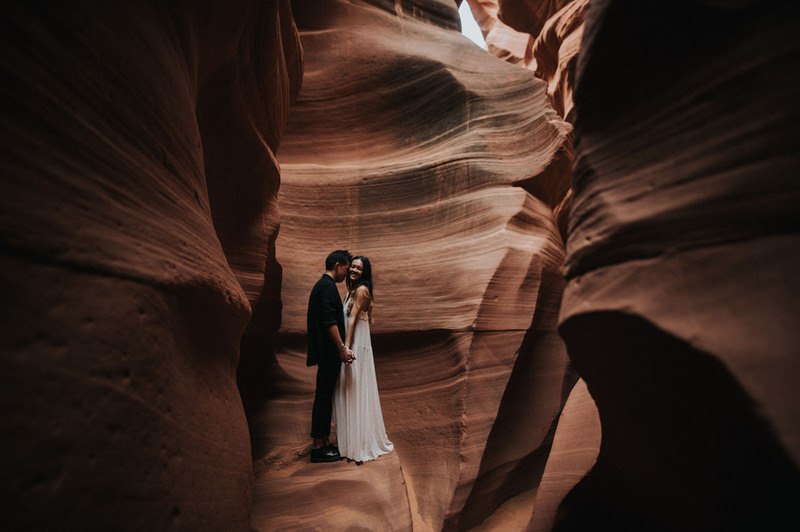 Jonnie + Garrett share, Page is known for Antelope Canyon and Horseshoe Bend which are both incredible landscapes with iconic views. 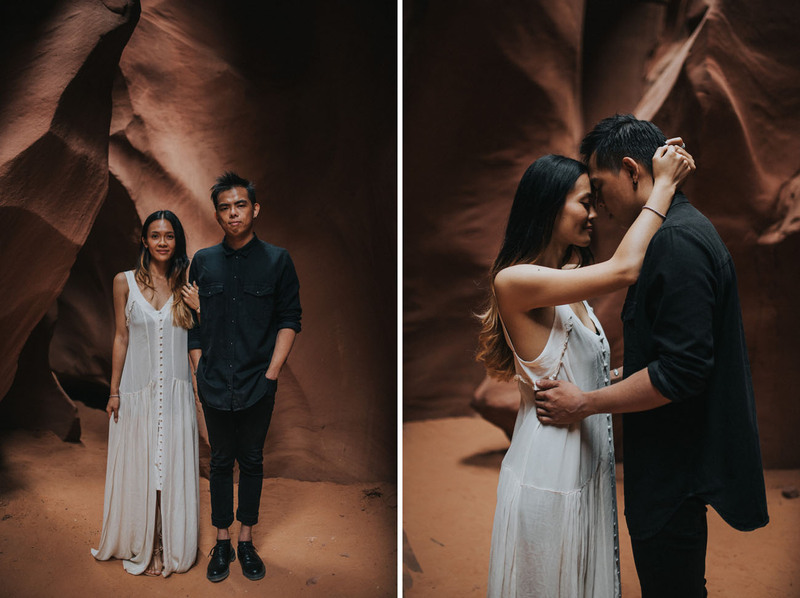 We were so excited when Toby + Kayan requested not one, but both locations for their engagement photos. 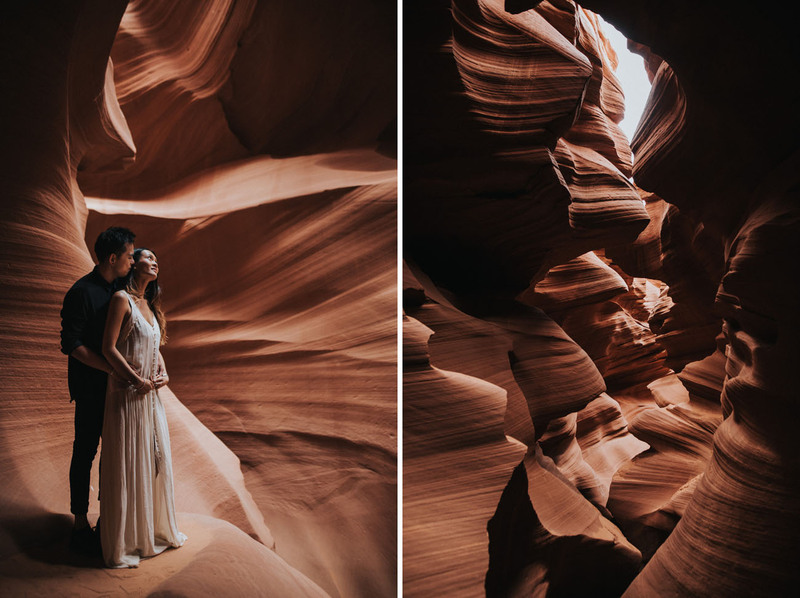 After hiking through the slot canyons, these two added a personal touch to the shoot by sharing burgers on the edge of Horseshoe Bend. Pinterest fingers ready? Let’s go! 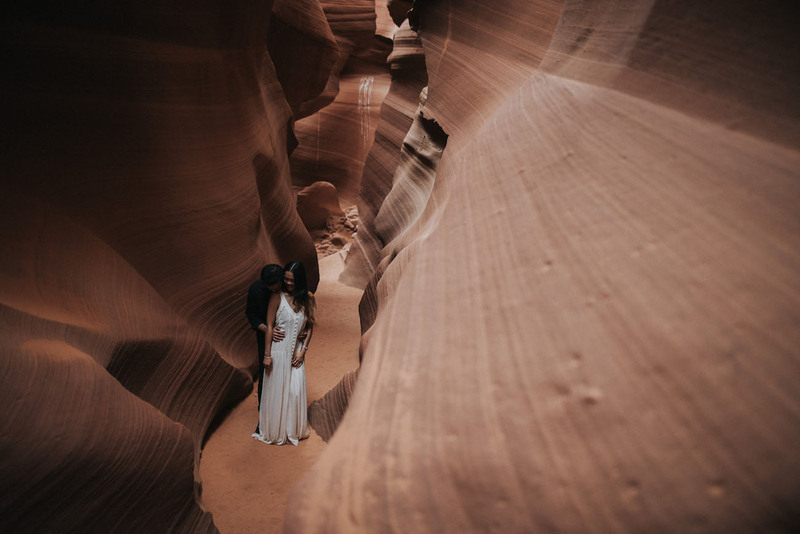 Just dancing in one of the most beautiful places on earth, no big deal. 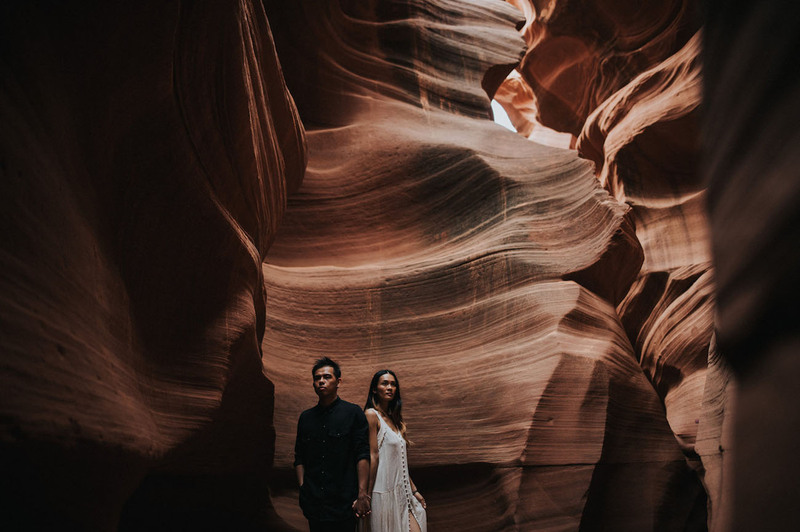 Toby filled us in on the (super sweet) engagement details: Kayan and I met each other 12 years ago through mutual friends. 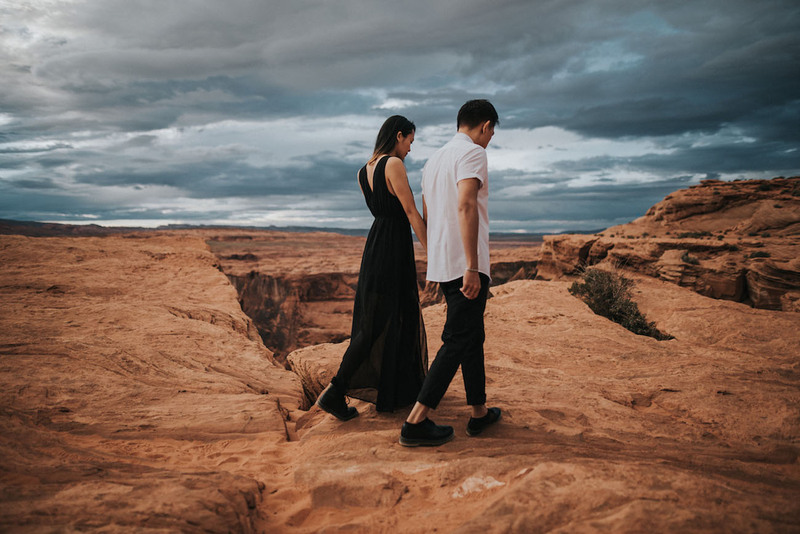 We started chatting and our relationship grew from friends into soulmates. 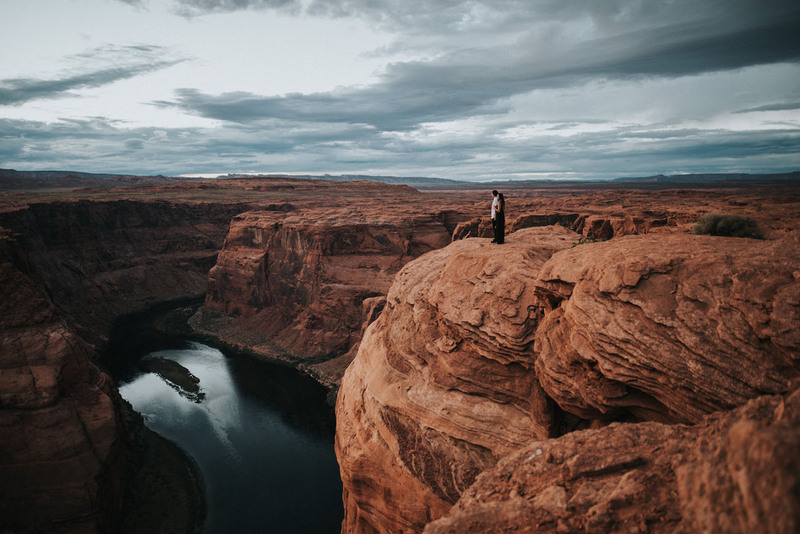 Whenever we felt happy or sad, we always shared our stories to each other. Then, after 3 years, I decided to hold her hand at the stoplights on our way to the train station in her hometown. 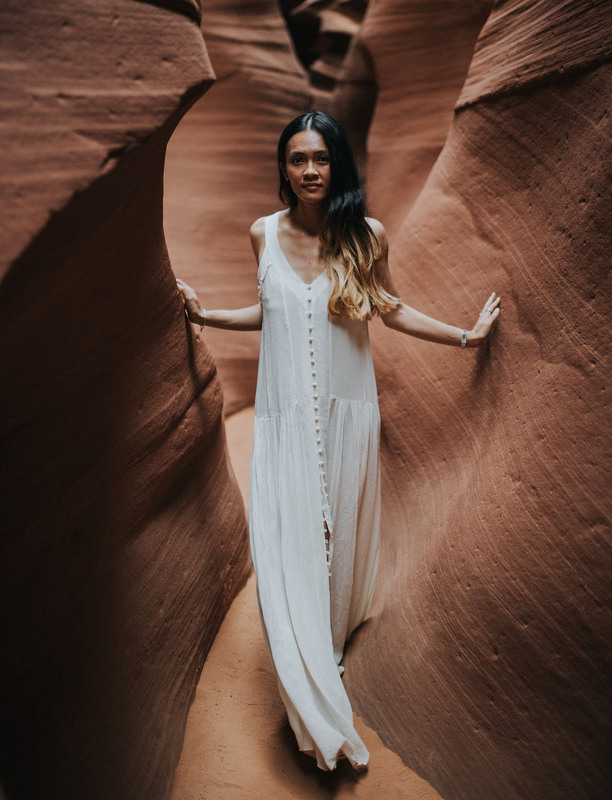 I told her, “You don’t have to say anything, just hold on or let go.” (Yes, let the cheesiness rain!) Nine years later, I was thinking of a special way to propose to her (like while on a trip to Norway), but ended up taking her out to the best Japanese restaurant in Amsterdam. I wanted to propose there, but the timing didn’t feel right because it was quite busy in the restaurant. So on the way home I really had to do it. I parked the car, and proposed to her! 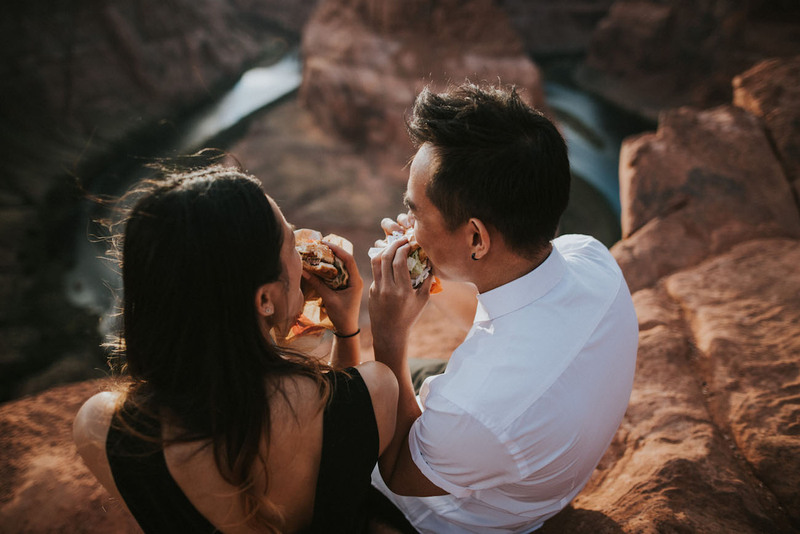 Hallmark of a cool couple: sharing burgers on a cliff. 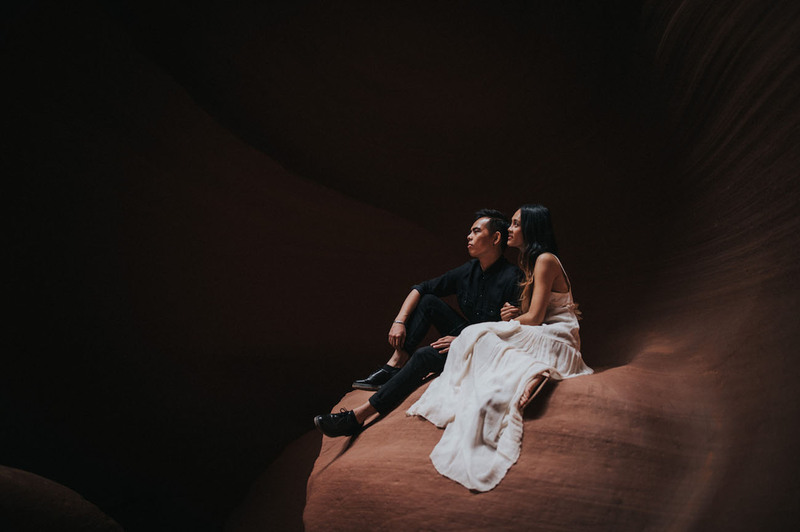 Thanks for sharing you engagement with us, Toby + Kayan! We wish you more dreamy days ahead! 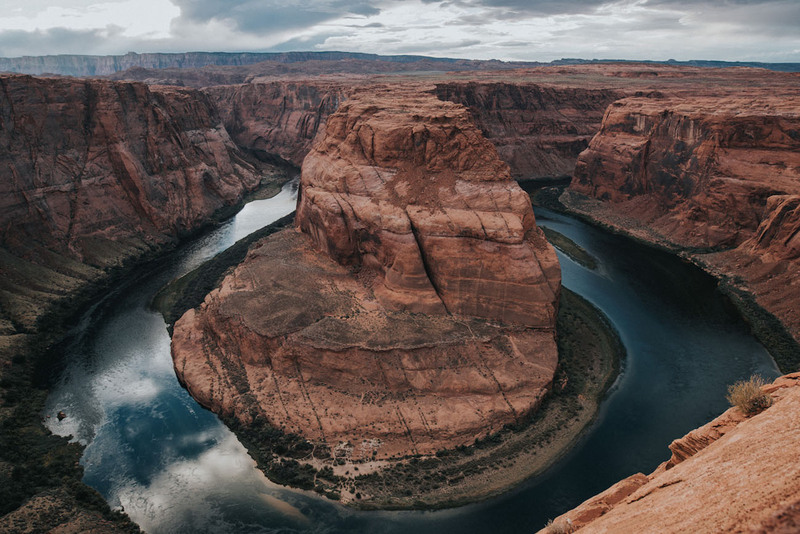 But how is it possible to have nobody there? It is crowded every time I go there!